Are you ready for July 4? I’ve had my home decorated for several weeks and am looking forward to the big day on Saturday. 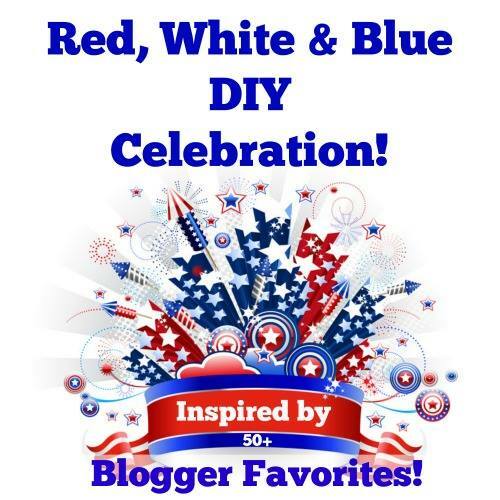 Today I’ve joined forces with some blogger friends to bring you plenty of red, white, and blue inspiration all in one spot. Scroll down to find links to patriotic projects that are sure to inspire you. I’ve completed several patriotic projects this year. 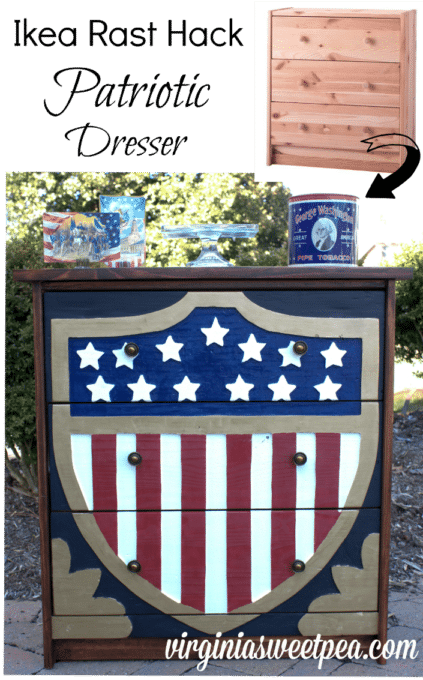 In March Mr. SP and I transformed an Ikea Rast dresser into a patriotic one. 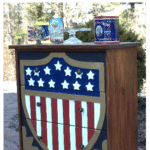 The stars, stripes and the shield were created with a router. A lot of sawdust was created during this project. I made an Easy Patriotic Wreath for our front door. This project was also in a local magazine, Clutch, and I shared in on WSLS TV in Roanoke. I got out all of my vintage red, white and blue to create a Vintage Inspired Patriotic Mantel for my living room. 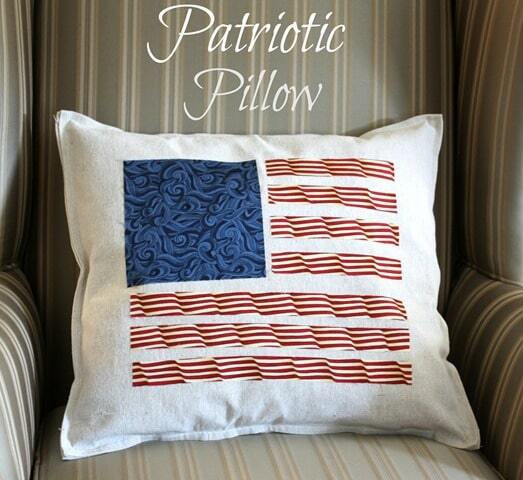 I wanted some Patriotic Pillows for my living room so I created some from a table runner that I made a few years ago. 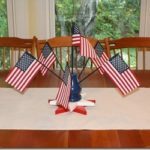 Since I’ve been blogging and crafting for a number of years, I’ve completed quite a few Patriotic Projects over the years. 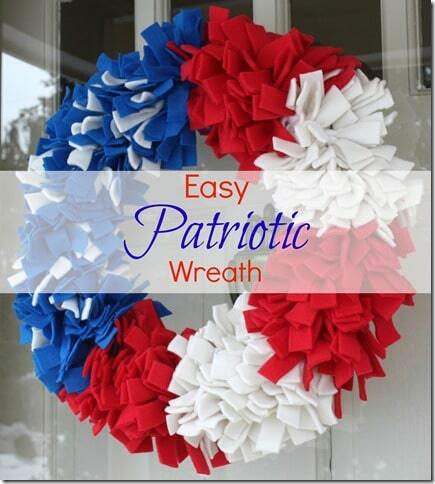 You can find links to more of my patriotic projects here. Now for the fun part! Enjoy scrolling through the red, white and blue inspired links below. Oh wow! 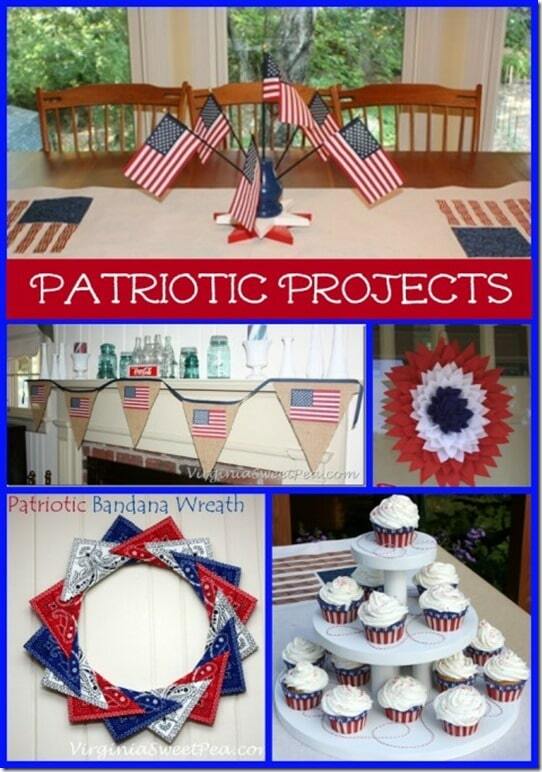 I knew you put together a bunch of patriotic projects but it sure is fun to see them all together! You have so much red, white, and blue goodness going on! It looks so pretty! Thank you, Megan. Since July 4 is over my summer break, each year I always have time to craft for it. 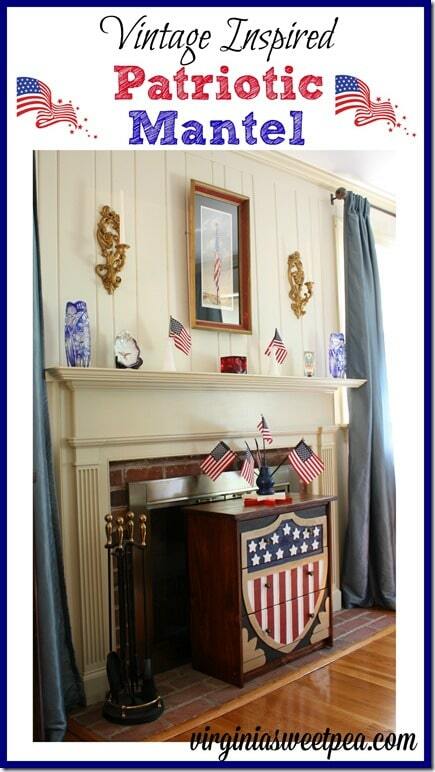 If I keep it up, I can decorate my entire house for patriotic holidays. Hee-hee!